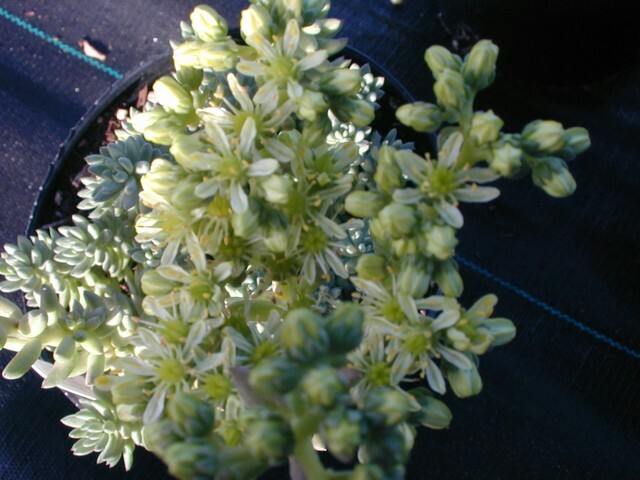 This is a large form of Sedum sediforme that a friend brought to me from a nursery in Santa Fe, New Mexico. It was unlabeled at the time. I always thought it looked a little like a hardy Burro's Tail. It has bluish colored leaves and white flowers. Hardy. Evergreen.